A whole lot of (numbing) heat! My first experience Sichuan food experience (ironically in Beijing) was a tongue-numbing one especially since I had it during summer. Not a wise move, that one. 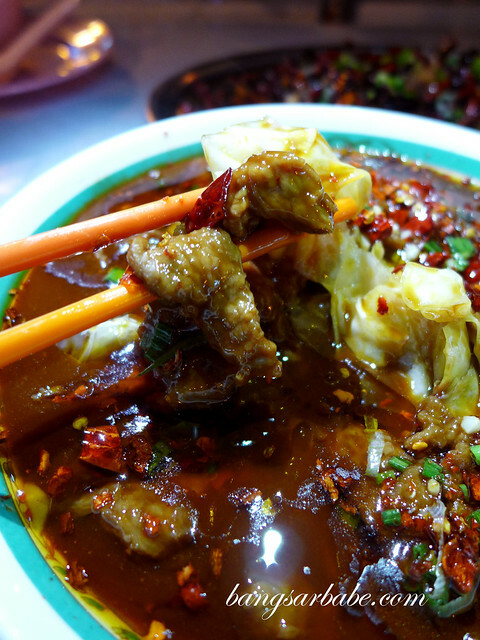 Sichuan cuisine is distinguished by spicy, oil-based sauces and predominately, Sichuan peppercorn. The peppercorns are bitter, spicy and shockingly good – numbing the mouth and causing the nose to sniffle. 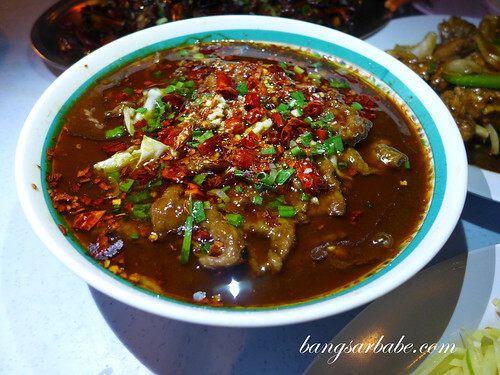 My first Sichuan experience in Kuala Lumpur happened to be at Kedai Makanan dan Minuman TKS along the bustling Jalan Alor. 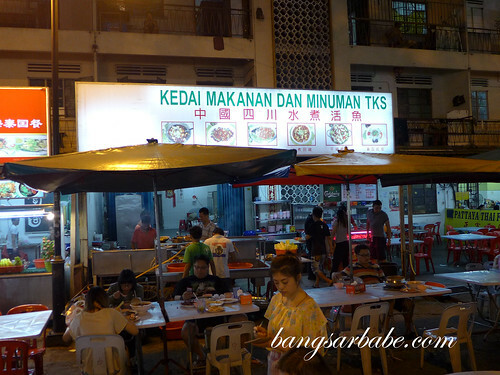 If it weren’t for Ken, I would never set foot in this restaurant because I see all restaurants in Jalan Alor as a tourist trap. 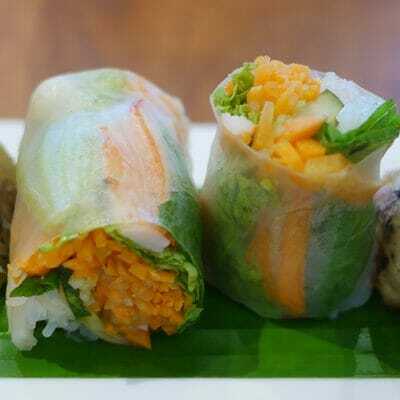 TKS isn’t cheap but it’s not a trap since they list down all the prices on the menu. 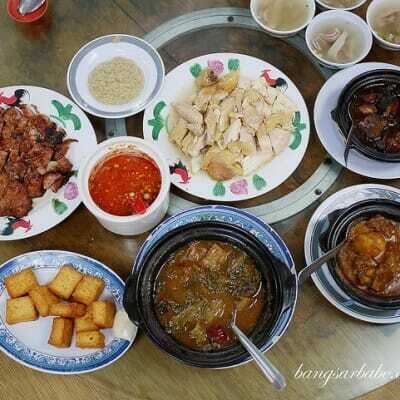 Ken did the ordering – thin slivers of potato with peppercorn, lotus roots, fried chilli chicken, beef and cabbage spicy soup, pork ribs and pot stickers. 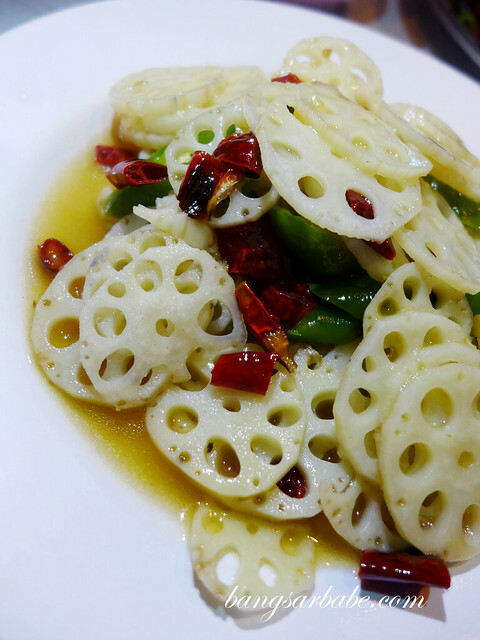 The lotus roots (RM15) tasted seemingly mild, flavoured with salted mustard and dashes of vinegar. 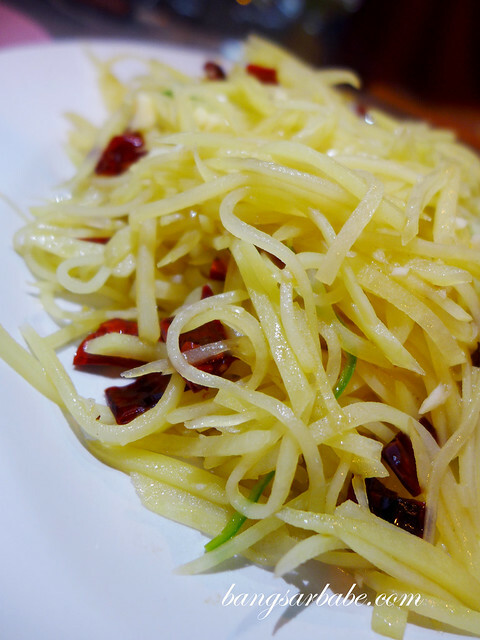 I enjoyed this, but preferred the stir-fried potato with chilli and peppercorn better. The latter was incredibly addictive (crunchy and tangy) that we ordered another large plate to share (RM18 – large). Tender beef slices, bathed in peppercorn and chilli oil. Madness in a bowl! 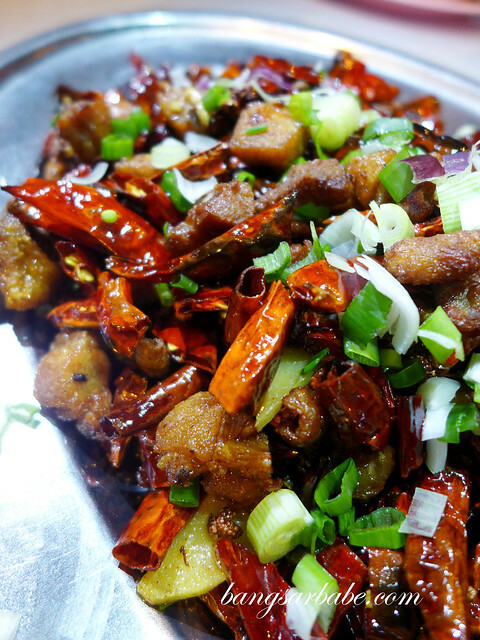 Fried chilli chicken delivered a dense ‘smoked flavour’ to the palate. 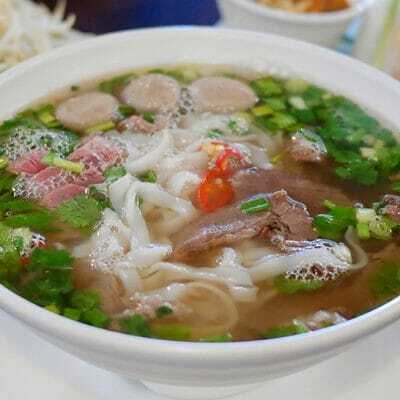 It was probably imbued with the numbing flavour, but after the spicy soup, my mouth was already numb to tell. 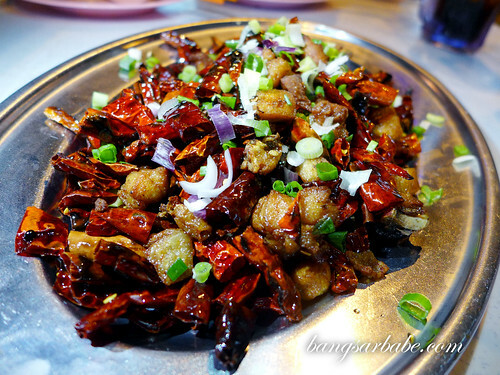 It was a challenge to pick the (super tiny) chicken pieces from the fiery peppercorn bits and chilli. Get it wrong and you will pay with tears, sweat and more sniffles. 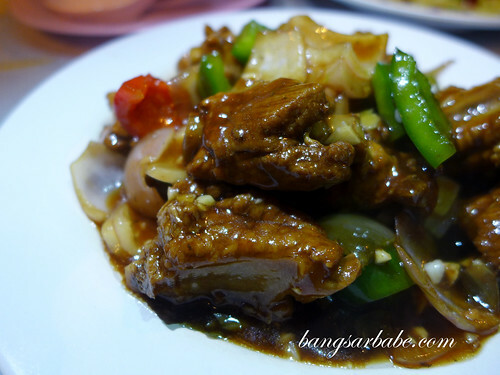 The pork ribs (RM18) were stewed in a fragrant gravy of fennel seed, star anise, bay leaf, black cardamom and baizhi – tasty with white rice. This was aromatic and flavourful; not spicy, this one. I really enjoyed the pot stickers (RM10), filled with savoury minced pork and served with a garlic-vinegar dipping sauce. So much that I insisted on a second plate! 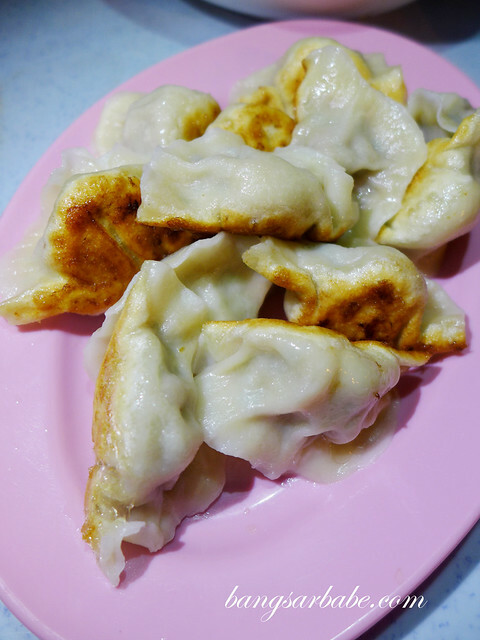 Our bill came up to RM158 for the above – with repeat orders for the potato and pot stickers. Not particularly cheap, but I did enjoy the miraculous high the food gave. Verdict: Give this place a try and order the pot stickers, chilli chicken and potato! 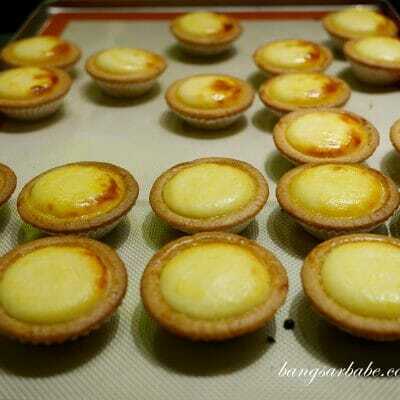 ahhh.. my all time favourite sze chuan food place. .
Haha, that photo in your Instagram! Lips smacking hot and spicy! Love the potato and pot stickers to the max!